Rhino Espresso is now open next to the Wooloowin train station too. 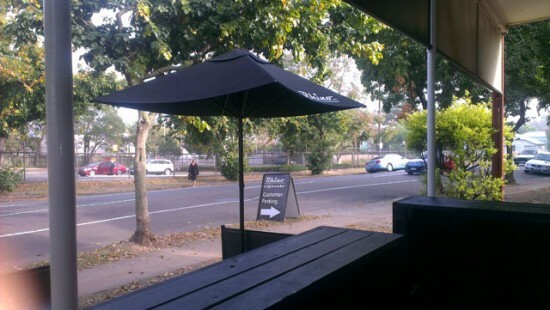 There is another Rhino Espresso open in Northgate, and by the looks of it, the one in Wooloowin is very much the same. Rhino Espesso is very much a commuter cafe. Located right next to a train station and across the road from the car park, the cafe gets it’s share of early morning customers. It is even on the right side of the road for inbound traffic to stop and pick up a coffee. The cafe itself is open to the street and is loosely defined by a bar just in front of the counter. If it was not for the tables just in front of this, it would more or less be an espresso bar. 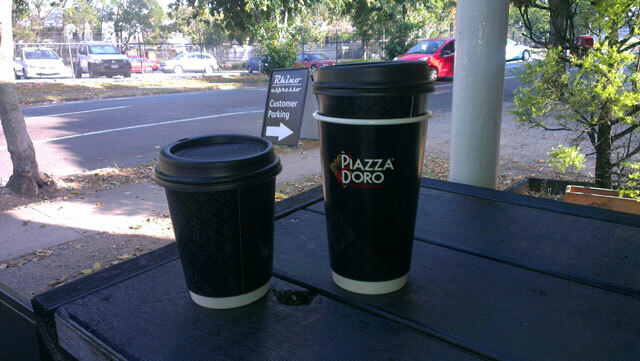 They use Piazzo Doro beans, and beyond that there isn’t a lot to say about the coffee. The large long black with an extra shot I grabbed that morning was not overpowering or watery. Rhino Espresso also offers a range of food. As I didn’t try anything from their menu, so I can’t really comment on it. Rhino Espresso is almost the ideal commuter cafe. It is in a great location, while not brilliant, the coffee is good. The prices are unremarkable and in line with most other cafes and there is no reason not to grab your coffee there if you do plan to catch a train from Wooloowin. I just don’t think I would go out of my way if it was the weekend.